Happenings with Dom and Nan: Want to avoid V-Day candy with GMOs? With Valentines Day just a week away its pretty hard to escape all those heart-shaped, pink and red candies. While they may seem temping, many of them contain GMOs. GMO Inside is leading the push to get Hersey and Mars to stop making candy with GMOs in 2013, or at least to start labeling their products as containing GMOs. 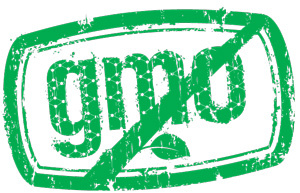 GMO Inside is a coalition of businesses and organizations that support a healthy, GMO-free food system. Their most recent campaign is aimed at Hersey and Mars, that combined comprise nearly 70 percent of the U.S. chocolate market. Both companies have also spent more than a million dollars to oppose GMO labeling in California in the November 2012 election. Because GMO corn, sugar and soy, which are commonly used for many of Hershey’s and Mars candy products, it may be wise to avoid them if you are trying to minimize or eliminate your consumption of GMOs. GMO Inside released a Valentine’s Day Villains shopping guide for consumers who want to avoid giving GMO treats to their honeys. I was careful to avoid all GMO candies this year and will make sure I keep track of your GMO info so I can avoid it in other areas as well. It looks like I am not going to be spending much time in S.A. this next year and GMO will be an issue for shopping. Fortunately, there is a natural food store where I am now and they do not accept any GMO ingredients at all!!! Thank you so much for keeping us informed! Hugs dear friend!